Yates with his brothers and father. Left to right: John Godfrey Yates Jr., Joseph Harding Yates, John Godfrey Yates Sr. (father), James Nicholas Yates, Jeffrey Lee Yates and Jason Allan Yates. 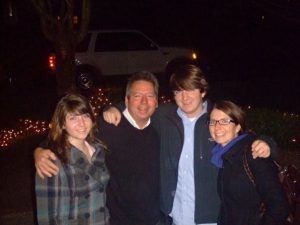 Jeffrey Lee Yates, a prominent Alexandria business owner, died of cancer on Feb. 22. He was 63. The Yates name is stamped across Alexandria on various businesses owned and operated by different members of the family. Yates owned Yates Car Wash & Detail Center, Table Talk Restaurant, Automotive Service Garage and Old Town Auto Body and Paint, in addition to the under-construction Yates Pizzeria on Duke Street. Growing up, Yates worked at his family business, Yates Gulf Service, and developed an interest in both the automotive industry and business operations. 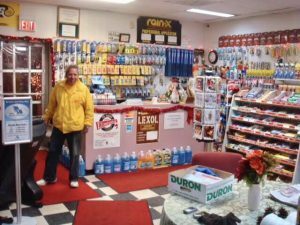 He had been a successful entrepreneur since he used his automotive experience to open Yates Auto Parts and Hardware in 1977 and turn the business into a regional conglomerate with his brother Jim. That first successful business led Yates to pursue his interest in acquiring real estate and operating businesses. Nick Kapetanakis, the main manager at Table Talk Restaurant, said Yates often spent time working and helping out at the restaurant. Yates’ son said his father often acquired real estate that was significant to him personally or the city of Alexandria. 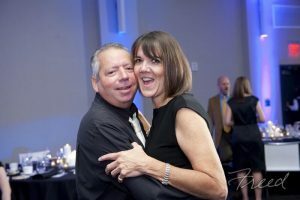 He said, though his father is often known for his many businesses, he was also an outdoorsman and enjoyed spending time with family. Yates skies out West with son, Jeffrey Jr., and youngest daughter, Jessica. 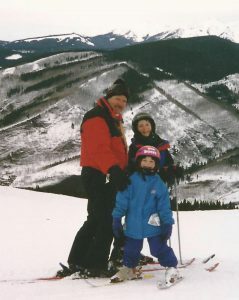 Yates taught his three children how to ski and enjoyed planning family vacations. “He loved taking us to Rehoboth Beach in Delaware every summer,” Yates Jr. said. Yates was born on Nov. 2, 1954 at Maxwell Airforce Base in Montgomery, Alabama, to parents John Godfrey, a naval officer, and Lena Mary Yates. He graduated from Oxon Hill High School in 1972 and went on to earn a degree in mechanical engineering from the University of Maryland in 1976. Yates is preceded in death by his parents and his brother Joseph Harding Yates. Yates with his fiancée, Connie Sofia. 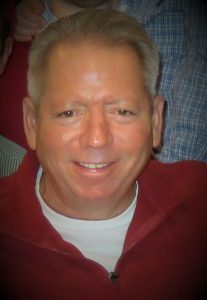 He is survived by his fiancée, Connie Sofia; his three children, Jacquelyn Marie Nevin, Jeffrey Lee Yates, Jr., and Jessica Nicolina Yates; their mother, Mary Vanderberry Yates; and his three grandchildren, Grace, William, and Olivia. He is also survived by brothers John Godfrey Yates, Jr., James Nicholas Yates, Jason Allan Yates; sister-in-law Virginia White Yates; and many loving nephews and nieces. “He was the love of my life and I miss him with every breath that I take,” Yates’ fiancé, Connie Sophia, said. Relatives and friends may call at Everly Wheatley Funeral Home on Friday, March 2, from 2 to 4 p.m. and from 6 to 8 p.m. Funeral services will be held at the same location on Saturday, March 3, at 11 a.m. The interment will be held at Ivy Hill Cemetery at a later date. In lieu of flowers, memorial contributions may be made to support the Bladder Cancer Research Fund at Johns Hopkins University Hospital.